Our time in Israel has been fruitful thus far. 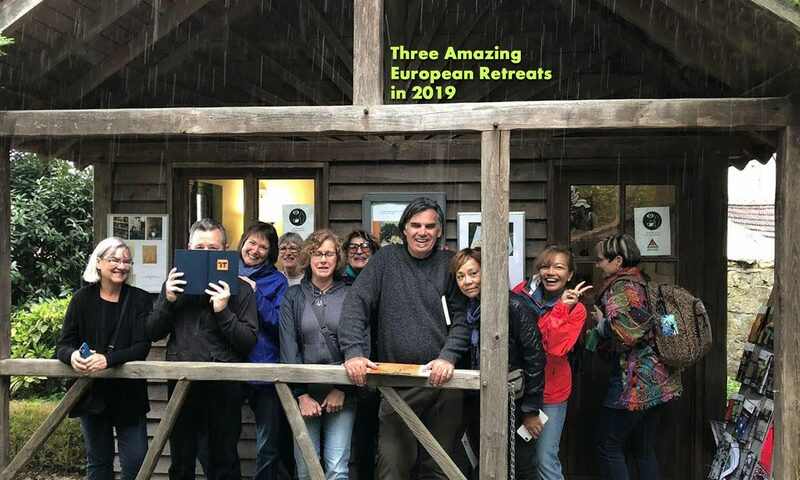 We have been here just over two weeks and we have already completed an art retreat in Néot Semadar in the south, and just completed a three-day expressionism workshop in Tel Aviv/Yafo. We want to thank all those that have participated in these retreats and also we would like to thank our hosts Kibbutz Néot Semadar in the desert and Orly Dvir in Jaffa. You all have made our time here so rich and rewarding. Next, we have another special and unique three-day workshop that will be held in Kfar Hess from 8 to 10 April. We are calling this event, The Art of Rehabilitation & Healing. As the name suggests, our direction here will be slightly different than what we usually do, but not too much. במהלך 12 השנים האחרונות של עבודה משותפת, למדנו והבנו על ואת טבע הכוח הוריפוי של יצירת אמנות בכל פורום שהוא. שוב ושוב אנו רואים איך אנחנו מוצאים הקלה בשדברים שמטרידים אותנו כאשר אנו יוצרים אמנות. יש משהו במעשה היצירה שפותח בתוכנו ערוצים שנוחחים ומרפאים. Through the last 12 years of working together, we have come to learn about the strength and healing nature of making art. Time and time again we see how so many of the things that beset us are eased and often made better when we make art. There is something about the act of creating that opens channels within ourselves that comfort and heal. Last year we had a woman with fibromyalgia that joined us in for a retreat in the Netherlands. In the first couple days that she was with us, we were amazed to see the changes that took place. Through this experience our focus in Kfar Hess will be primarily on those that are suffering from that disease. אנחנו אוהבים לעבוד עם אמנים עם אלה שמוכנים להתנסות. בסדנא הזו נעשה את כל הדברים שאנחנו עושים בדרך כלל בסדנאות שלנו. נתחיל עם ״ציורי הספארי״ הפופולרי שלנו, שבו נצא ונציירבקווים מהירים את הנוף, כך שנוכל להכיר יותר את הסביבה שלנו. אגב, אין דרך טובה יותר מאשר ציור כדי ללמוד על הסביבה שלך. כמו כן, נערוך את סדנאת ציור עם מוסיקה וגם מוזה ושימושיות אשר יניעו את כולם להיות פתוחים ונוחים לבטא את עצמם בחופשיות. We love working with artists and those that are willing to give being an artist a try. We will be doing all of the things that we normally do at our art retreats. We will start out with our always popular Drawing Safari where we go out and draw quickly in the landscape so that we can become more familiar with our surroundings. By the way, there is no better way than drawing to learn about your surroundings. We will also present our Painting with Music and Muse & Usability workshops that will inspire everyone to be open and comfortable to express themselves freely. We celebrate creativity and all that it does for us. We are really looking forward to this special workshop. If you are in Israel and are curious about how this might help you or someone you love, please contact us. Previous PostPrevious Isn’t That Beautiful?